In the last couple of year’s I have lost alot of weight. Just by filling up with water! Every meal has consisted with drinking a bottle of water before the meal, and that alone has saved my caloric intake from being too high. 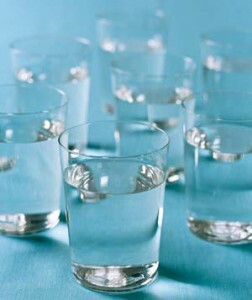 I understand that just drinking water can become challenging at times, so I’ve created a list of ways to make it easier. -Have a bottle of water with you at all times. Make it accessible! If lugging in a case of bottled water into the house all the time is time consuming. Keep one in your house and one in your trunk. That way you have no excuses! -Even better, keep a pitcher of filtered water in your refrigerator with at least a liter and a half of water to remind you to finish, and keep drinking it! A visual reminder is always the best way to go! -When it’s cold outside, drink warm water! 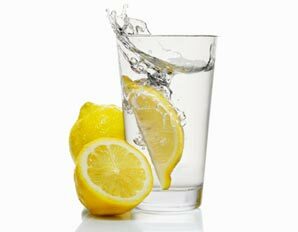 You can put lemon in it to soothe your throat as well. Don’t be afraid of becoming bloated with water. Within the first few days it’ll be normal, after that you should start to notice your body will adjust. When your body doesn’t get enough water, it holds onto it. When you start drinking enough every day, your body will know to get rid of it. How do you know when you aren’t getting enough water? How can water help your beauty? -If you have dry skin, drinking a lot of water can help your body from having overactive oil glands. Meaning your body will cut down on producing oil and it’ll help your from breaking out with acne. Cheer’s to one of life’s simple pleasures! ← Attraction: Why and how do we attract mates? Wow! So much informative facts about H2O! I had NO idea how important water was until now. I thought drinking 2-3 bottles of water a day was enough and I was struggling with trying to down the last bottle. My mom has a gallon sized, water filter in the frig and we BOTH share that. I should tell her to get a second one, one for each of us! I like the fruit idea, very creative and fun too! I love the water they serve at restaurants where they had slices of cucumber and lemon, tastes phenomenal (sp?). I have the single crystal light packages but I haven’t even opened the box, I guess laziness has creeped up on me 🙂 I am definitely going to be more conscious of my water intake and make it a point to drink water before, during and after every meal. Water does make me full, maybe I should chug a water bottle before dinner too! Great ideas Allison, thanks for the tips! I try to drink at 8 cups of water a day, but that doesn’t always work out for me. These tips are great, hopefully they will help me to get at least 8 cups down a day!